We’ve got a lot to celebrate at the moment!! Kaelan can ride his bike without training wheels, can sleep in his own bed ALL night long, can ‘swim’ 5 m unassisted and just generally so much more grown up at the moment. 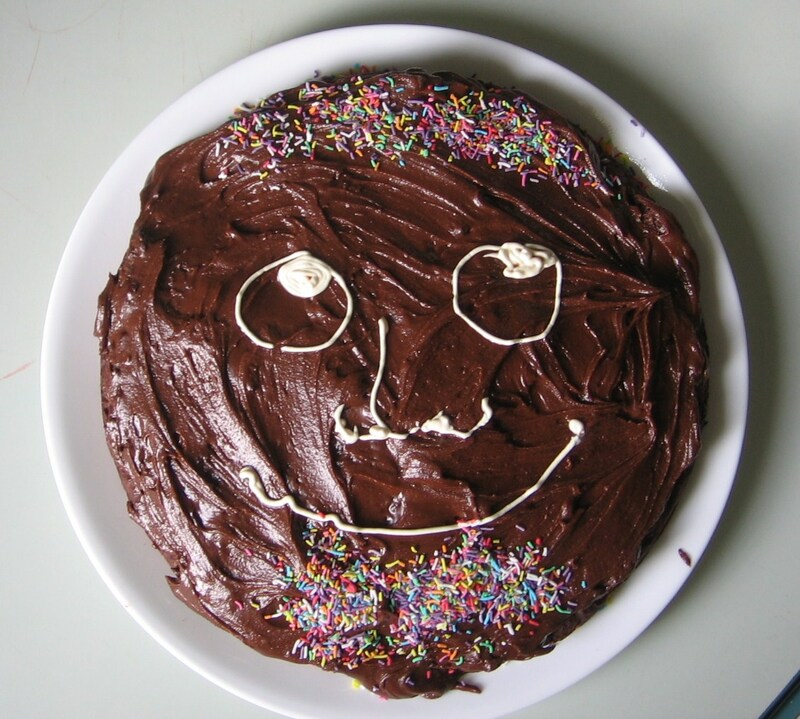 So here is the happy smiley face cake (with a beard) to celebrate all these wonderful things, and how exciting … mummy has lost her sense of smell and didn’t notice the porridge burning so today we had chocolate cake for breakfast! (followed by more porridge later on when we finished licking our chocolatey fingers). 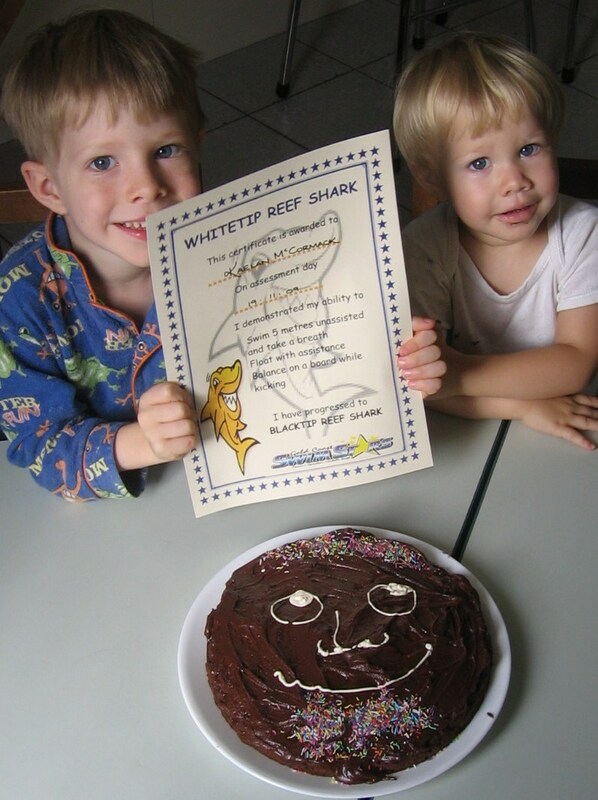 mmm, miam miam, chocolate cake for breakfast – what a wonderful idea!